Ah, water! Drink enough, many insist, and be rewarded with beauty and health. Avoid it and your fate is to dry slowly onto the sidewalk, a dehydrated husk, doomed to watch sadly as wiser, better hydrated friends leave you behind. But how much water is too much water? 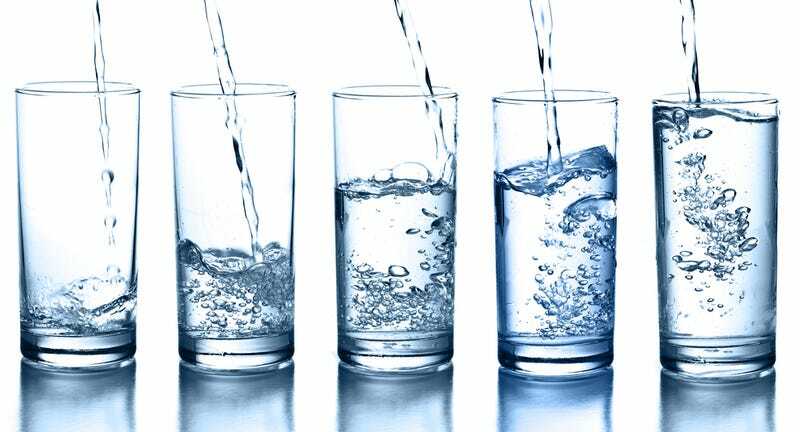 You can indeed drink too much water, explains the American Chemical Society in the video below, though that amount is exceptionally hard to come by and certainly not one that you would drink by accident. For a person who weighs 165 pounds, for instance, they would have to consume an incredible six liters. Image: Aaron Amat / Shutterstock.